Survey time. What’s the first thing you do when you wake up? B. Jump in the shower. Did you pick C? Good — then you’re just like me and every other Facebook-obsessed person out there. But, if you’re also like me you spend a large chunk of time untagging all the unflattering photos that your lovely friends posted from the night before. Now don’t get me wrong. I’m all for fun pictures, but none of them scream “PROFILE PICTURE WORTHY” to me. And after having the same picture for over a year now (and, OK, it’s actually just the side of my face, nuzzling a puppy, lame, I know), I really need a new one. Does this sound familiar? 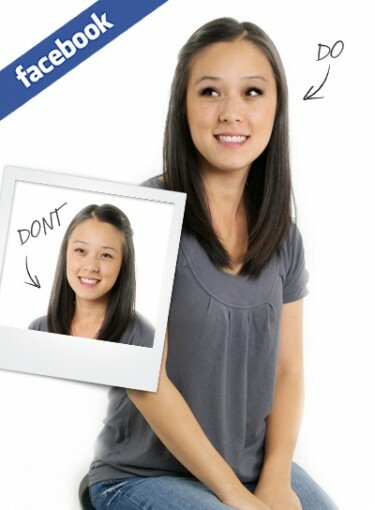 If so, you need to check out this guide to getting the best Facebook picture ever. Click here for tips on how to get a great Facebook photo. I asked a ton of experts for help on how to get a great photo — photographers, makeup artists, and hairstylists. They told me everything — from what to wear, to how to stand, and even how to get your face looking camera-ready. Then, I took their tips and put them to the test. After checking out the dos and don’ts in this fun tutorial, you’ll definitely learn something new. And while I can’t stop your friends from posting that shot of you with food in your teeth (gotta love ’em), at least you’ll know that rest of your pics are absolutely perfect — which means no untagging necessary. So now you can put off checking Facebook every morning … at least until you’ve had your coffee.